1. A stainless-steel vegetable peeler for anyone who's got a lot of veggies to peel and a budget. Get it from Walmart for $6.27 (originally $14.36). 2. A ceramic non-stick baking sheet to keep cookies from sticking and to save you money on tinfoil! Get it from Walmart for $9.99 (originally $11.79). 3. 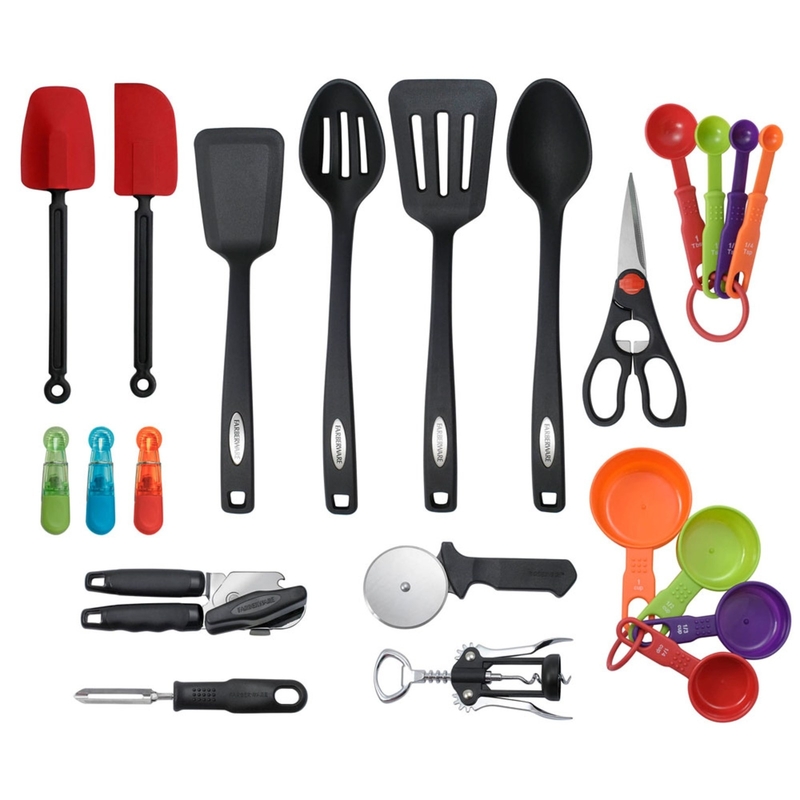 A 22-piece kitchen tool and gadget set that'll help you be the Inspector Gadget of the kitchen. Get them from Walmart for $19.98 (originally $25.99). 4. A 4.5 qt. KitchenAid stand mixer designed to last and whip up cookies, bread, pizza dough, mashed potatoes, and more. Get it from Walmart for $189 (originally $229). 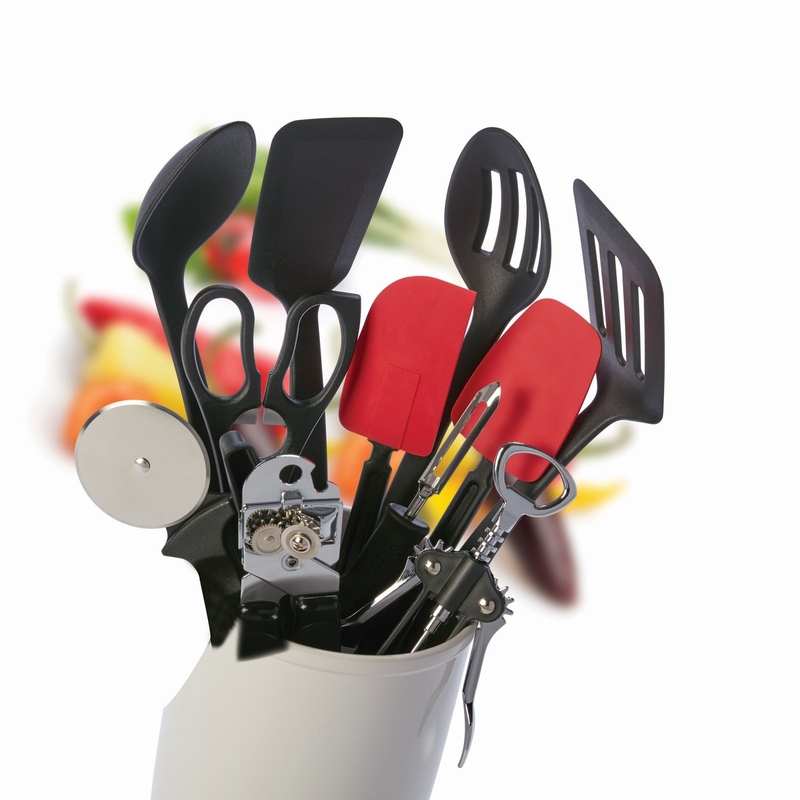 Looking for more cooking tools that will last forever? Check out our picks for the best cast-iron skillet on BuzzFeed Reviews. 5. A tilt head edge beater so you can scrape all the dough from your mixing bowl for not much ~dough~ at all. Get it from Walmart for $19.99 (originally $29.92). 6. And a KitchenAid slicer/shredder attachment perfect for slicing and dicing away. Get it from Walmart for $39 (originally $64.99). 7. A non-stick silicone baking mat you can custom cut so the corners don't stick to the sheet! Get it from Walmart for $9.99 (originally $12.99). 8. A three-piece silicone utensil set for anyone who doesn't want to scratch their brand new pots and pan! Get them from Jet for $30.98 (originally $53.99). 9. A table top vegetable slicer and spiralizer worthy of all the spiralizer recipes you could dream of. 10. A super slim scale to give accurate measurements without having to take food out of its container. Get it from Walmart for $14.97 (originally $16.25). 11. 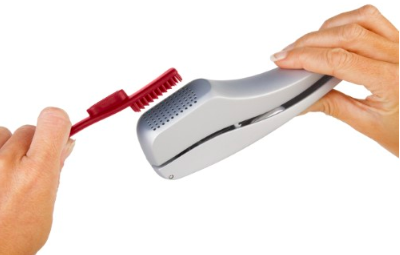 A versatile bowl scraper/dough chopper that'll also scoop up veggies for omelettes. Get it from Walmart for $7.55 (originally $13.95). 12. A coffee grinder with handy features you shall love, like a retractable cord and measurements in the grinding chamber. Get it from Jet for $14.45 (originally $15.79). 13. A three-quart stainless steel strainer ready to help when you're *straining* to make pasta. Get it from Walmart for $6 (originally $7.67). 14. A foldable bread slicer so you can slice up your favorite homemade breads and loaf cakes with ease. 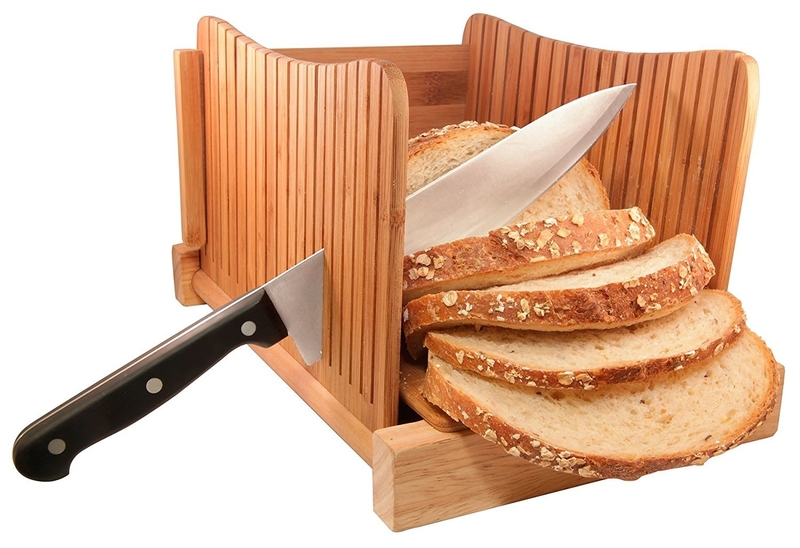 I need this for all the homemade bread I make! Get it from Jet for $24.99 (originally $32.49). 15. An immersion blender for anyone who needs a hand whipping up all the smoothies, sauces, guacamole, and whipped cream a person can eat. Get it from Jet for $34.54 (originally $59.99). 16. 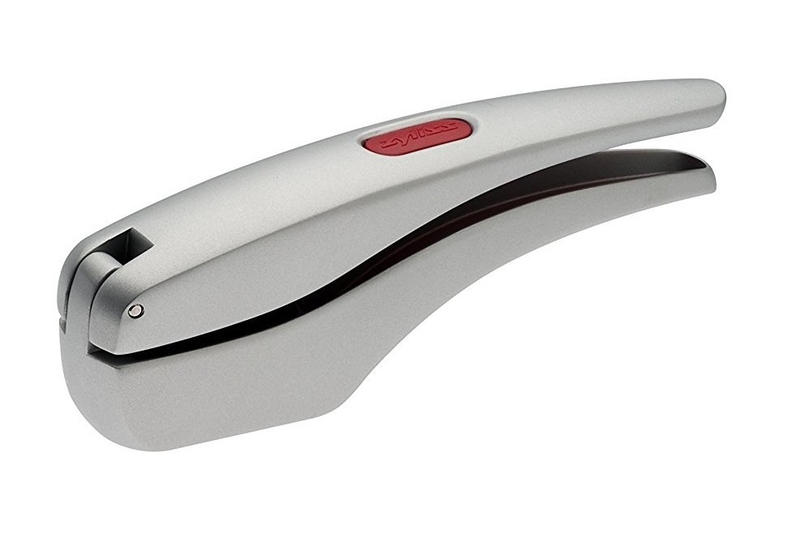 A garlic press with a built-in cleaning tool guaranteed to make adding garlic to your fav. dishes easier than ever. Get it from Jet for $19.99 (originally $54.99). 17. An air fryer you simply won't believe can make tons of oil-less, crispy recipes. Get it from Jet for $79.88 (originally $108.99). 18. And an adorable tea strainer you'll be ~berry~ happy with. Get it from Jet for $8.43 (originally $14.99).